We have for sale CLEAN RELIABLE CUSTOM F100 STEP SIDE PICKUP. STREET ROD. We have the complete build sheet and all the parts. Started with 1981 f100 then took it a apart. Custom frame, 460 Big block,c6 3 speed auto with transgo pack and B&M ratchet shifter. Ford 9" rear Axle, Ford clutched posi. 3.00 gear ratio. Edelbrock 4bbl carb, Weiand Stelth intake, MSD ignition, 3 inch exaust with flo master mufflers. Chopped roof, shaved door handles,Grafted hood,full oak bed,custom, Dual stage paint with candy ghost flames. Custom pro street design interior, stereo, power windows, brakes, doors, and key fob. Fuel cell with an fittings and edelbrock electric fuel pump. New Centerlines and tires. So much more. You will not be able to build it for under 30k in just parts. Thanks, please call with any other questions. 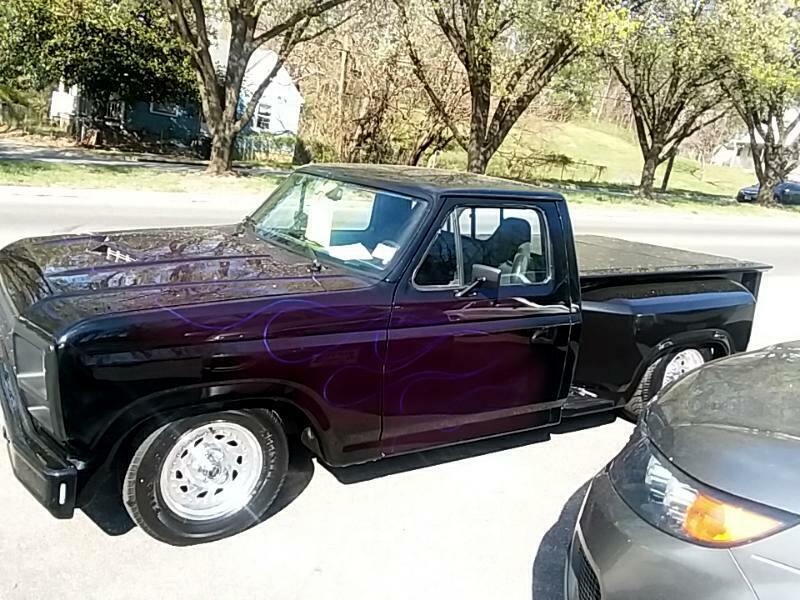 Message: Thought you might be interested in this 1981 Ford F-100.